House of Cards is set to resume production of its final season in early 2018 (per THR). As one would expect, Kevin Spacey will not return to the show, with the sixth season instead focusing on Robin Wright’s Claire Underwood. This final season will consist of eight episodes, as opposed to the usual 13. “We are excited to bring closure to fans,” Netflix content chief Ted Sarandos said in a statement. Ever since multiple allegations of sexual misconduct came out against Spacey, including accusations made by people involved in the House of Cards production, work on the political drama has been halted. As a result, several crew members’ jobs have been up in the air. With this confirmation, they can expect to get back to work quite soon. Spacey will be written out of the series, and seeing how Frank Underwood’s BBC counterpart on the original U.K. House of Cards met his own untimely demise, fans should expect some similar fate for Underwood, likely off-screen. Netflix recently decided to not release Gore, a Gore Vidal biopic starring Spacey. And in an unprecedented move, Ridley Scott film All the Money in the World quickly replaced Kevin Spacey with Christopher Plummer, with a new trailer featuring Plummer recently released. 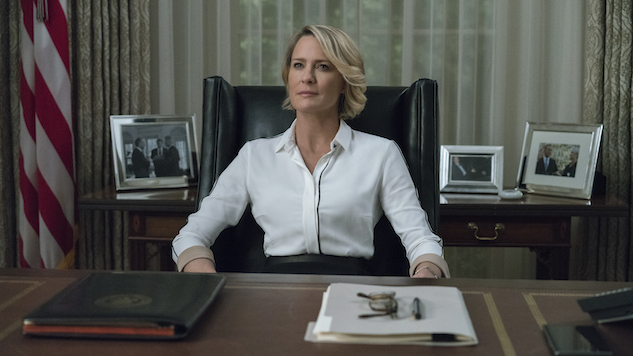 No word yet on when the final season of House of Cards will be streaming, but check back with Paste once that information eventually arises.